Memorial Day weekend what a wonderful weekend it was. Who can complain about having an extra long weekend. Not to mention living in Jersey you are never more than 30 minutes away from a beach. Usually the Jersey shore gets really crazy on the Sunday before Memorial Day weekend so we decided to go and check it out on Saturday. This usually is a great day to go as the crowds aren’t too crazy, but everything is open and waiting for visitors. As I mentioned there are numerous beaches to choose from up and down the coast but we decided to check out Seaside Heights. 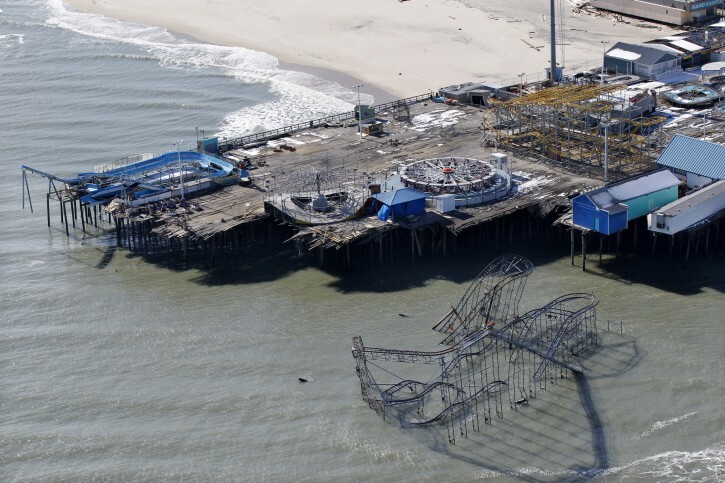 For those of you that might not know Seaside Heights was one of the many areas that was hit hard during Hurricane Sandy in October 2012. 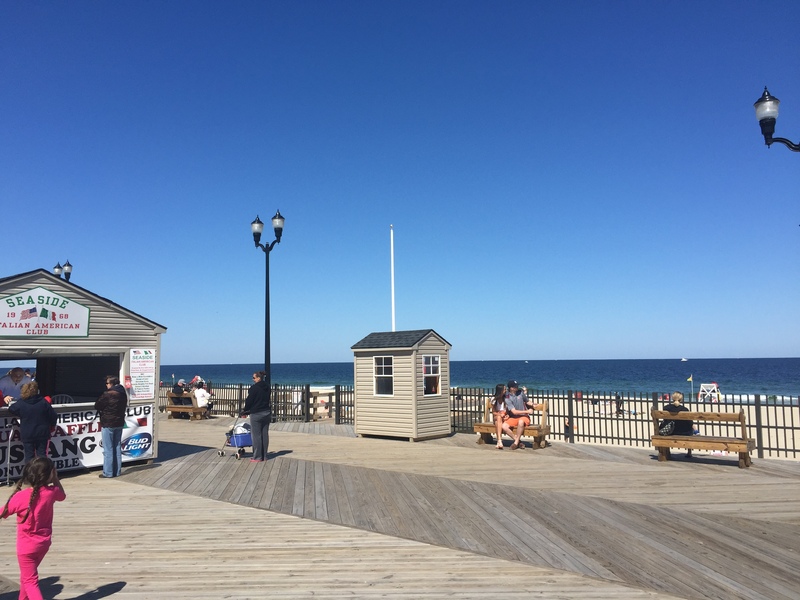 There is a pretty memorable picture of the Pier falling into the Atlantic ocean, and a roller coaster that appears to be floating among the ways. 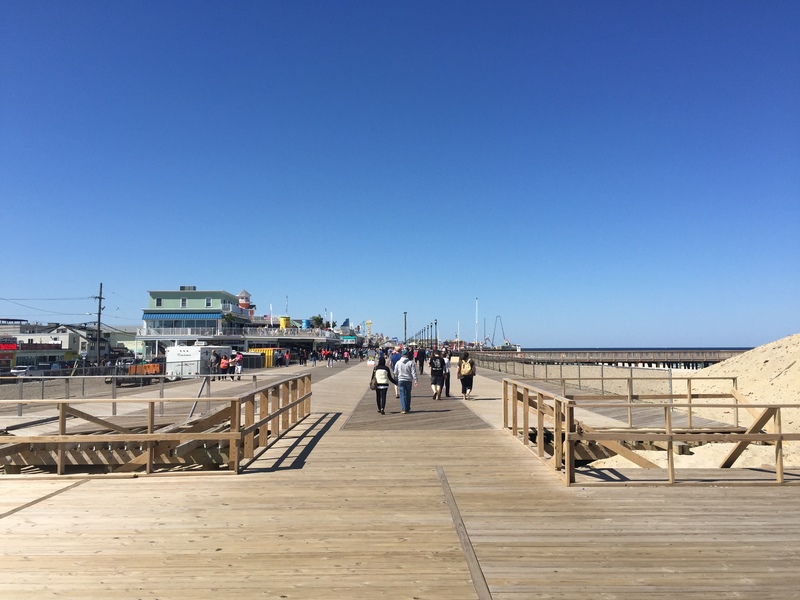 In the years since the boardwalk has been rebuilt and the pier show above has been put back together. It’s call the Casino Pier and was in full swing when we arrived. It was a beautiful day but the breeze off the ocean made it a little chilly. 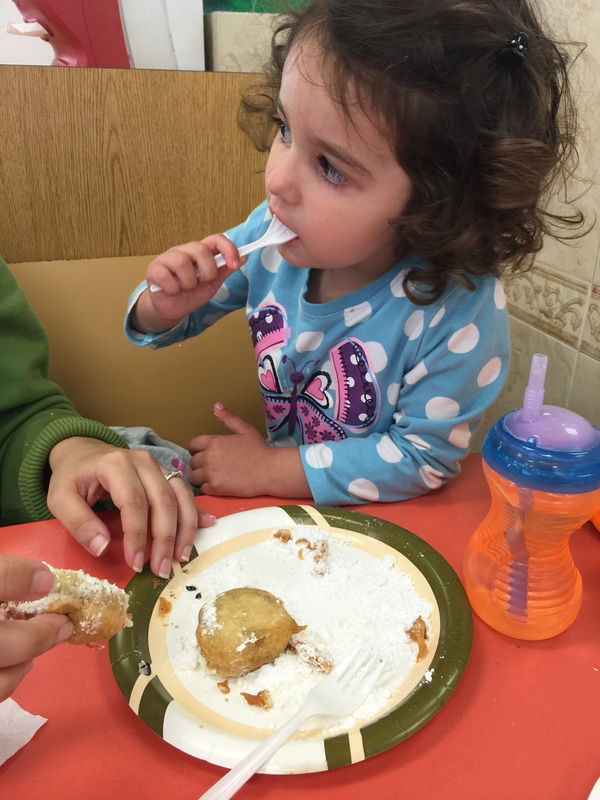 We took our time walking up and down the boardwalk and had to make a stop so Hanna could try her first deep-fried Oreo. Not sure if you have ever tried one but wow you must. I’m not a deep-fried food fan usually, but these are the exception to that. After filling up on the Oreos we headed back towards Casino Pier and into the Arcade. All the usual boardwalk games are in here including our personal favorite skee ball. 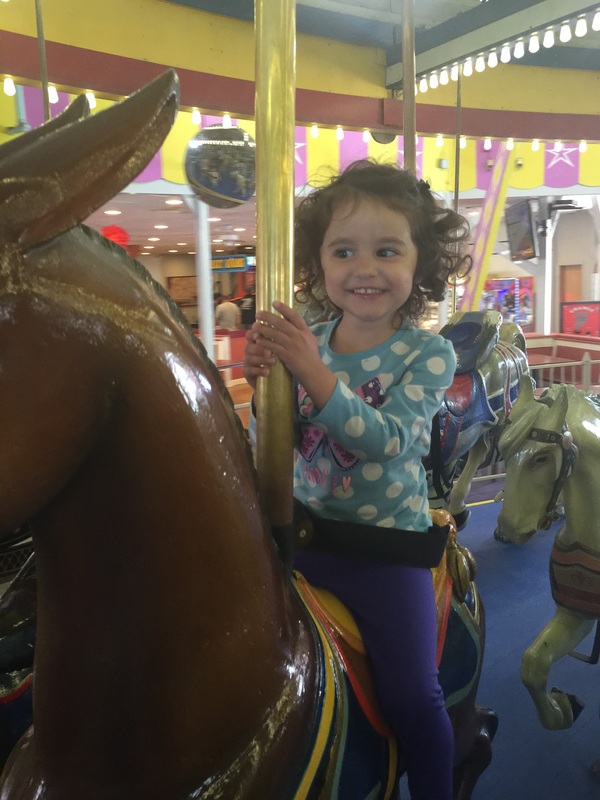 There was a vintage carousel inside that Hanna and I took a spin on. We wandered around the arcade see what else they had when I finally came across the one penny machine located here. 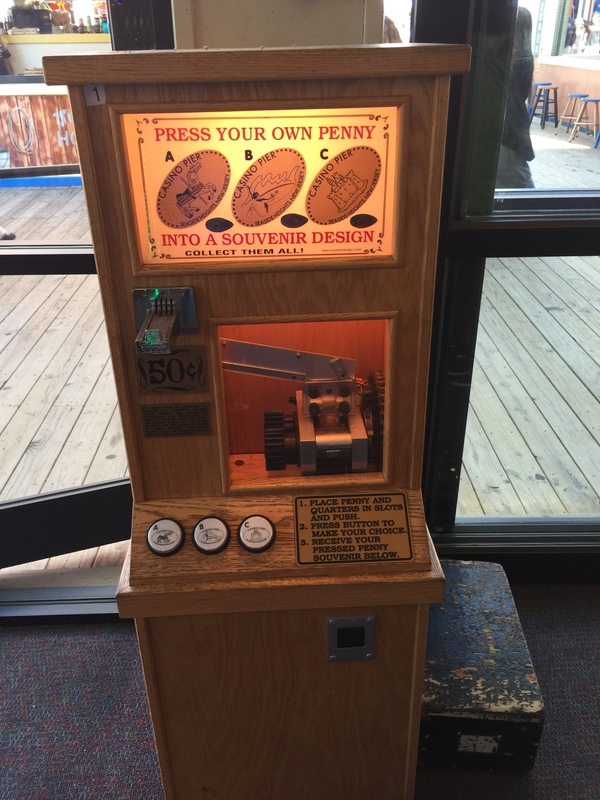 This machine seems to move each time I visit, but had the same designs from previous years. 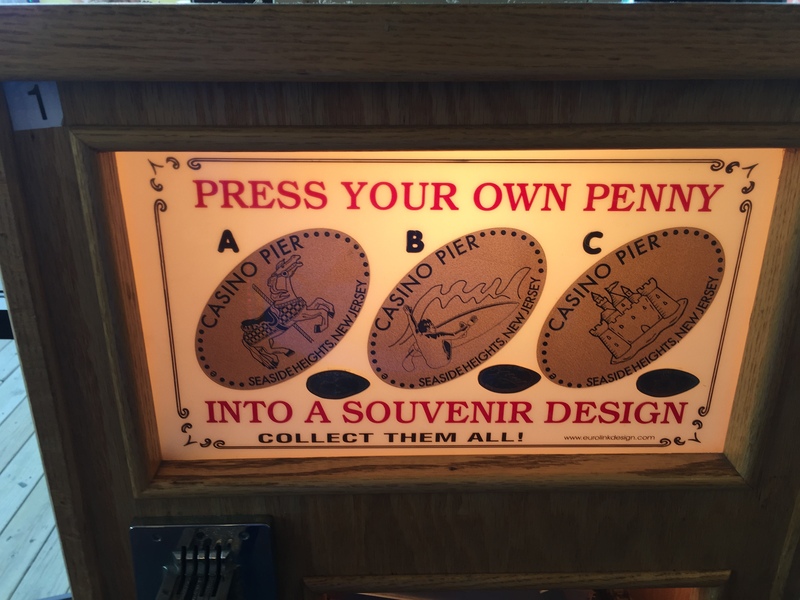 The machine had 3 designs: A Carousel Horse, A Sand Artist, and a Sand Castle. 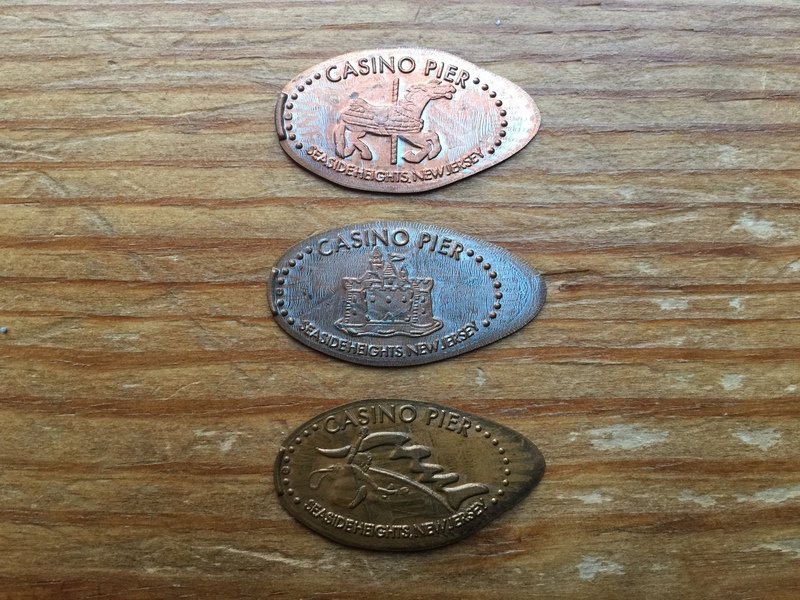 All three designs said Casino Pier and Seaside Heights, New Jersey displayed. Here’s a close up of the marquee sign. I pressed the coins to update the ones I already had in my collection. The machine pressed the designs nicely and they only had a bit of a tail at the end. By this time we were ready to head home. Due to the breeze off the water it was too cold for us to get onto the beach or water. We decided to save that for a trip later on in the summer. It was a nice quick trip to mark the official beginning of summer at the Jersey Shore.